Finally I am able to publish a new post in this series. 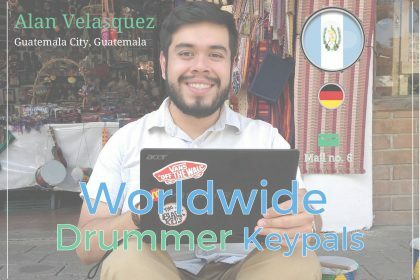 My latest keypal is from Guatemala: Alan Velasquez. We met online, where Alan runs a facebook site in Spanish to help people practice drums better.